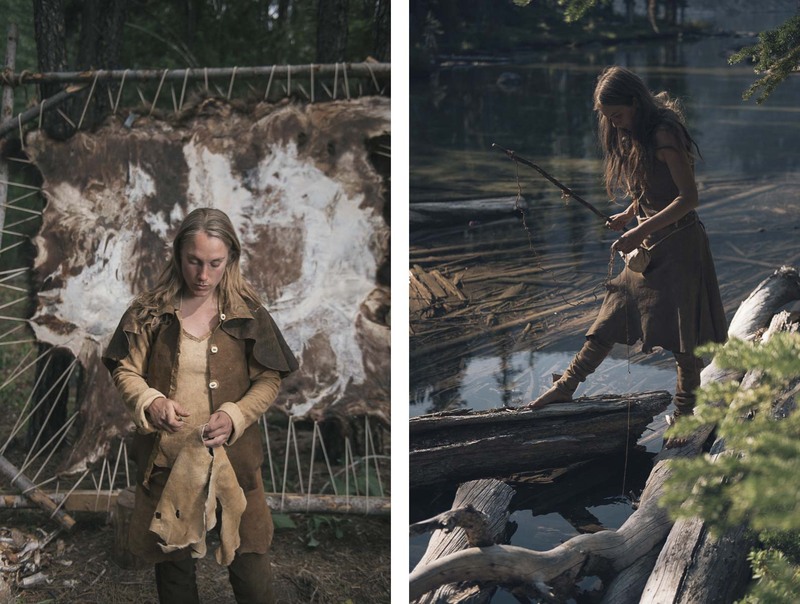 Left: Klara sews a garment from some tanned buckskin, in front of a racked bison hide. Right: A great deal of trial and error is the way that Living Wild participants learn. Though at first glance, fishing in a pristine lake seems simple, without experience, it proved to be exceedingly difficult. Jesse tries her hand at fishing with a bone gorge hook in the shallows where she can see small trout.